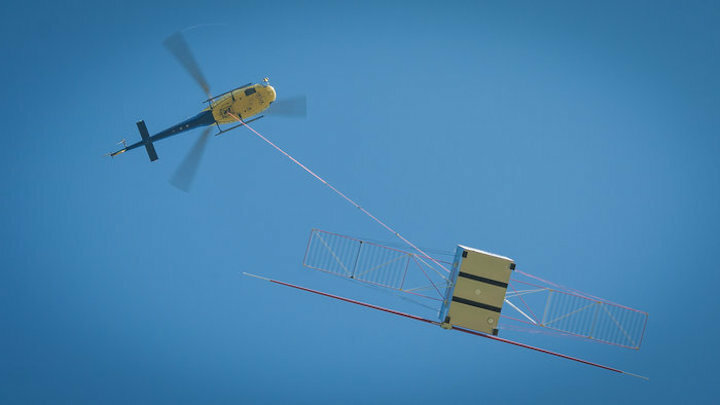 A long radar boom that will probe below the surface of Jupiter’s icy moons has been tested on Earth with the help of a helicopter. 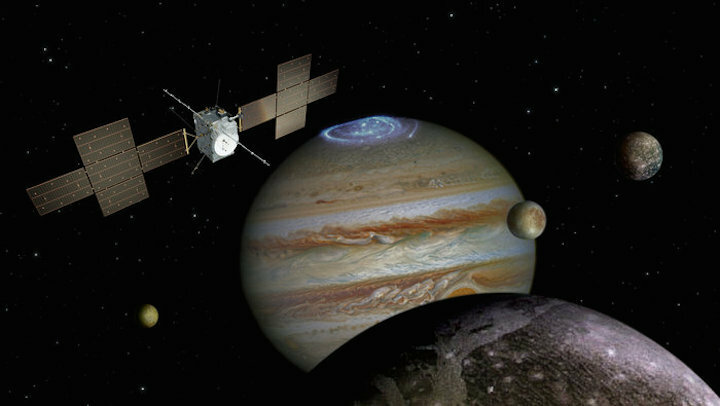 ESA’s Jupiter Icy Moons Explorer, Juice, is scheduled for launch in 2022, arriving seven years later. It will study Jupiter’s turbulent atmosphere and vast magnetic fields, as well as the planet-sized moons Ganymede, Europa and Callisto. All three moons are thought to have oceans of liquid water beneath their icy crusts and should provide key clues on the potential for such bodies to harbour habitable environments. One way to determine the nature of the moons’ subsurface is to penetrate through the ice with radar. That will be the task of the Radar for Icy Moons Exploration instrument, which will be the first of its kind capable of performing direct subsurface measurements of worlds in the outer Solar System. A 16 m-long boom will be deployed after launch and, once at Jupiter’s moons, it will transmit radio waves towards the surface and analyse the timing and strength of their reflections from features buried down to about 9 km. It will see vertical details as small as 50 m.
It will also help characterise the wide range of compositional, thermal and structural variations expected in the subsurfaces of these unique and geologically complex worlds. 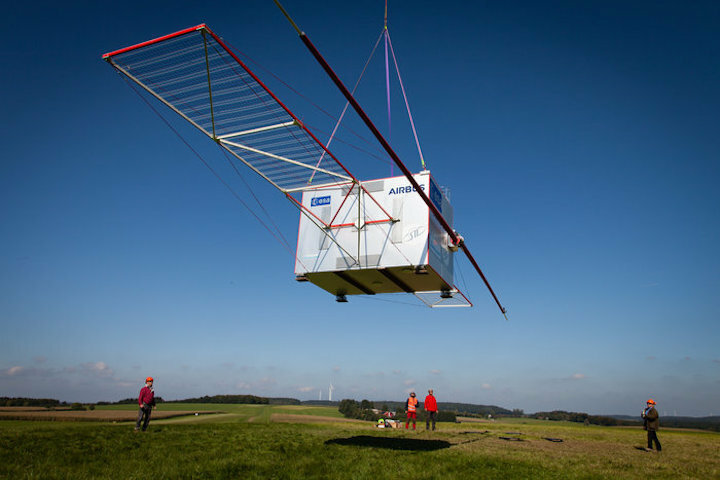 In order to measure key characteristics of the antenna, and to verify computer simulations, a test was carried out using a helicopter operating out of a glider airport in Heiligenberg, close to Friedrichshafen, Germany, last week. The antenna was mounted on a simplified mock-up of the spacecraft and hung 150 m below the helicopter, which hovered between 50 and 320 m above the ground. The tests were performed with the antenna and solar array in horizontal and vertical orientations with respect to the spacecraft mock-up, to understand the interaction between the spacecraft components and the antenna, and to test the characteristics of the returned signals. The helicopter offered the flexibility to fly close to the ground in agile manoeuvres, including figure-of-eight trajectories. “All the experiments were completed and provided a large amount of data that will be analysed in the coming weeks for guiding the next steps of the instrument’s development and to improve the modelling of our software simulations developed in the laboratory,” says principal investigator Lorenzo Bruzzone from the University of Trento, Italy.